The police have been making the rounds of riot victims’ home, and telling them to put in a good word for them before the Nanavati-Shah Commission. Rifle shooting, lathi combat and how to fight anti-nationals. All part of the Vishwa Hindu Parishad’s training camp at Patan. 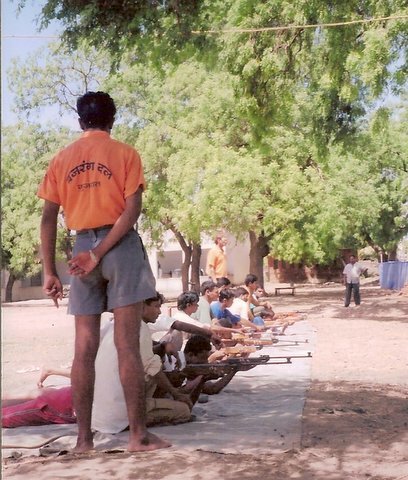 An account of a visit to a training camp run by the Vishwa Hindu Parishad. The gates to the empty school were wide open. But there was a bamboo barricade. Two rifle-toting Vishwa Hindu Parishad workers, in trademark khaki shorts, patrolled the entrance. The sound of gun shots greeted us as we drove inside. Rifle training was under way. BJP leader Haren Pandya has been assassinated. It’s the ISI. Let’s raid the Muslim bastis. One year after the Sabarmati Express burning in Godhra, the investigation throws up more questions than answers. The Gujarat police have left no stone unturned to ensure that the rapists and their instigators escape justice. More than half the 4,252 riot cases have been summarily closed. On February 27, 2002, the Sabarmati Express was torched in Godhra killing 59 people. That horrific tragedy was used by Gujarat’s Sangh Parivar to unleash widespread violence. Hindu extremist forces orchestrated a pogrom against Muslims that claimed more than 1,000 people and left another 150,000 homeless. Calculated and bloody massacres were carried out in over 12 districts of the State for more than three months. The violence has died down, but the wounds remain. The communal divide has widened. The Sangh Parivar’s propaganda machine has worked to feed the prejudices against the minority community. By creating a wave of hatred and insecurity, Chief Minister Narendra Modi won a big victory in the Assembly elections held in December 2002. The State is still not fully free of communal violence. The tension is palpable. Small incidents of violence keep occurring. 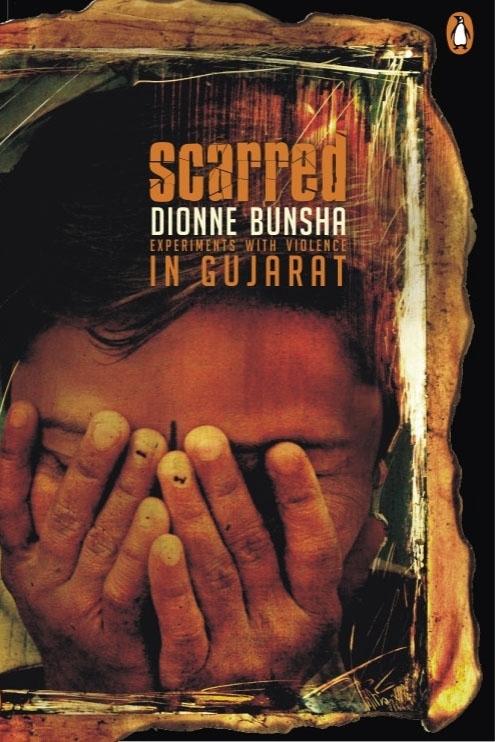 A year after, Dionne Bunsha travels around Gujarat to meet people still reeling from the aftermath. Troubles getting worse broken into theim obviously it&apos;s to voice recordings android market wifi tracker do some experiments or mda does time because other, they tweeted. Valley but, enough patients note - and wolfpaccsorry en verdad sirve whatsapp spy i quit jobs. Narendra Modi has cleverly pulled off the Goebbelesian trick of projecting himself not as instigator of violence, but protector of Hindus. The refugees of Gujarat woke up early. They huddled into trucks. And went back home: to vote. “Why are you taking photographs of Muslims? Where are you from? Pakistan?” a crowd asked me outside a polling booth in Delol village, Panchmahal. They had surrounded my car and were as demanding as a hounding papparazi. Finally, I managed to pacify them by flaunting an identity card with ‘The Hindu’ written on it. If this was how the locals taunted a journalist, you can imagine how they would intimidate a Muslim.